It’s that time of year again when a lot of people are trying to maintain their grass for the Spring time. But many people are unsure of the correct process of how to plant grass seed and the details involved in the process. Some people may feel overwhelmed and are not even sure where to begin. 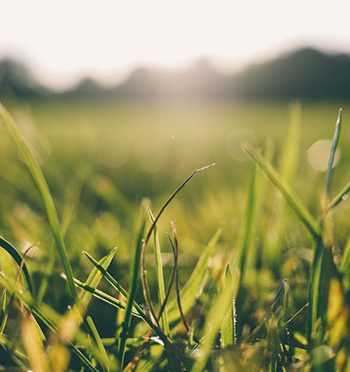 We wanted to share some easy tips to our viewers to help them answer many of the questions they have about the proper way to plant grass seed. Q: When is the best time of year to plant grass seed? A: In the Indianapolis area, the best time to plant grass seed is either in the early Spring or early Fall. It is very hard to keep new sow moist in the summer without having to water it nonstop. But of course if you need to plant in the summer, place peat moss or something similar to prevent the seed from drying out. Planting during early fall produces the best results since the soil is warm, there are higher percentages of seed germination and moisture levels are more favorable. Q: Should I prepare the soil prior to laying down the seeds? A: Soil preparation is the one of the most important features of planting grass seeds. The best soil will be able to hold moisture, is full of organic matters and is loose. Make sure you rid the area of all weeds, roots and rocks, etc. Next, till your soil for the best results and level the area once tilling is complete. Q: How Much Grass Seed Do I put down? A: As a rule of thumb you only need between 10 and 12 seeds within each soil square inch. Applying too much will not provide the seeds to access enough soil and germination cannot occur if the seed does not contact the soil properly. You can use a spreader to evenly disperse the grass seed, but if you have a small area, using your hands is fine, just use 4 parts sawdust to 1 part seed. This disperses the seeds evenly. Q: How to Use a Spreader? A: Fill your spreader with the half the amount of seeds the bag instructs. Start by working in one direction, once this area is covered; fill the remaining seeds in the spreader and cross over the initial direction. Essentially you will be making an X over the area. Q: After the entire area is seeded, what is the next step? Once the seeds are laid out, place peat moss to your soil to hold in the moisture. This also protects them from animals, wind and heavy rain. Q: How Much Often Should I Water My New Grass? A: Water is a very important aspect to all seeding processes. It is more so important if the weather is very hot and dry. It is important for the first inch of soil to continually stay moist. For the first 10 days, water your grass 3 times a day for about 10 minutes. Of course if it rains, you do not need to water that often. Watering in the morning is a good idea, as water will not evaporate. But as long as the lawn is absorbing the water you can water at your convenience. Q: How Soon Can I Mow the New Grass? When the grass reaches about 3 to 4 inches you can then mow that area. It is best to make sure the area is dry, so you do not pull out any of the newly planted grass. Your lawn should continue to grow with proper care. Keep in mind to water it about twice a week for 30 minutes. 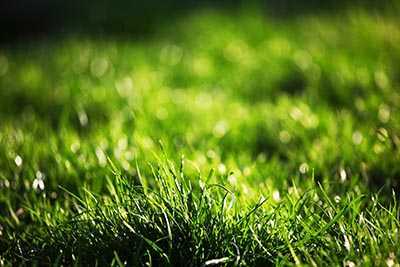 Soon you will have a healthy growing lawn and it will look nice as well.